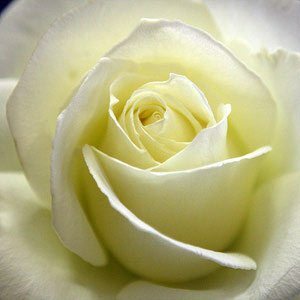 The Tineke Rose is a pure white colored hybrid tea rose, strong stems make this a great rose for cut flowers. This is a rose that has made the transition from the cut flower roses to a great garden rose more successfully than most. The great thing about Tineke is that it not only has a wonderful flower shape that holds well, it is also easy in the garden. Its so good it has been a popular rose in rose shows and exhibitions since its release. A vigorous grower, repeat flowering and will do well in most conditions. Reliable, lots of flowers and hardy. If you like white roses, plant one, it will reward you with wonderful roses for cutting, only a slight fragrance, but also great foliage. With a little care in pruning to a nice vase shape Tineke will reward you with pure white roses from late spring through summer. Tineke Rose is a fairly easy rose to grow. No special treatment is required. It doe have some great characteristics as a cut flower, long lasting, good dark green foliage and great at holding its shape. And although Tineke is not a very fragrant rose it deserves a place in the garden for the sheer beauty of the white flowers. Fertilize your Tineke Rose regularly with a specialist rose food for best results.